I really enjoy receiving e-mails/comments from people who discover new and interesting things. The whole dynamic wallpaper with Walkman features has not really been covered on this site, mainly because my phone will not support them =(. Either way, I will try to get a newer phone which supports this and soon I will get some tutorials up and running. I just thought that i will quickly write down, that because I am developing a wallpaper for my W580i, I wanted to show the ID3 tags. And using this worked, to display the title, all i did was create a new layer "Title". The create a dynamic text box on this layer with the variable TITLE. Then paste that code into the action layer, and underneath it write "fscommand2 ("MP:", "TITLE");". Now it displays the title when music is playing, and disappears when it is not. I suppose it will be like this for the rest as well, which I am about to try. Thanks for your comment! And please keep the emails coming! Flash Lite Tutorial: 1 Year Anniversary! 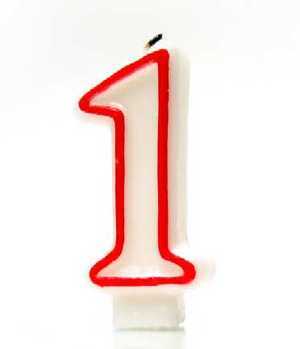 I'm excited to announce that Flash Lite Tutorial is one year old! It just seemed like yesterday when I started learning about Flash Lite on my w300i. A big thanks goes out to all those who have supported me and my endeavours! School is keeping me busy at the moment, but I promise to have some new fun tutorials out in the summer! Wishing everyone a safe and Happy Holiday and New Year!